The machine consists of steel-sheet parts. It has a case-hardened steel C10 and also zinc-plated parts. All the moving parts will be lubricated with special grease. 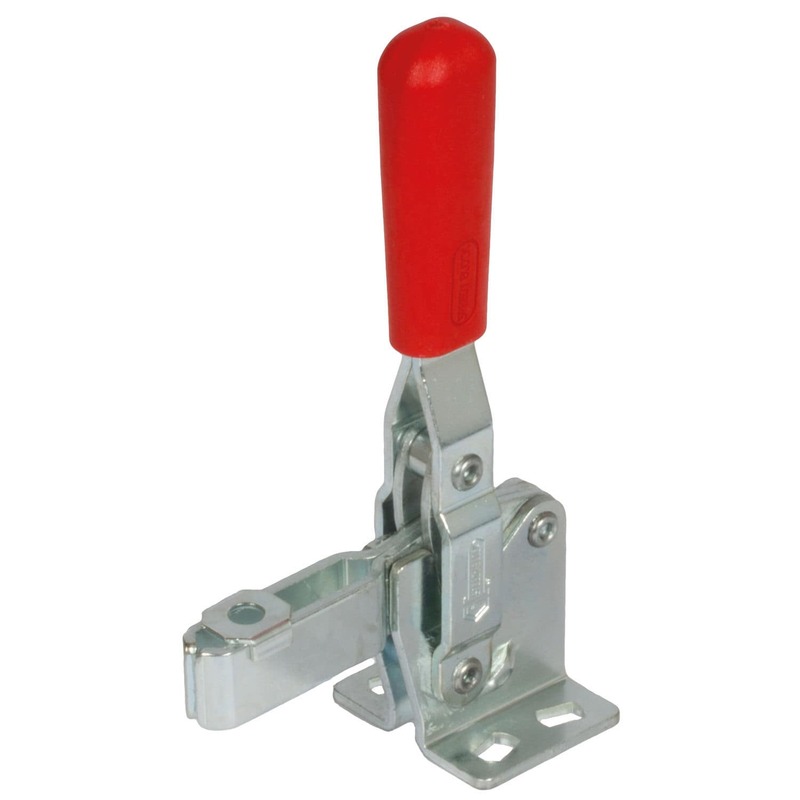 Its operating handle and also clamping lever will tend to move in the same direction. The operating handle is vertical, in a clamping position. 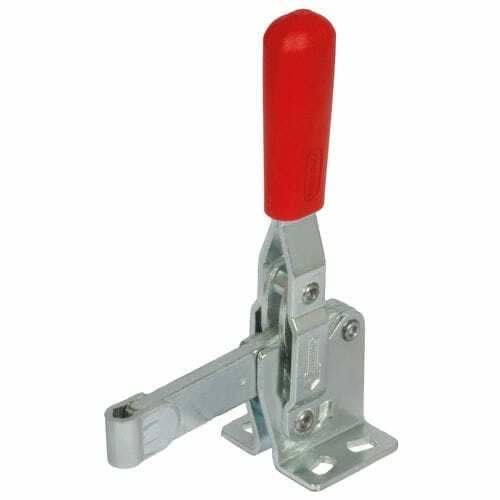 Vertical clamps are available for holding forces FH from 90 daN going up to 460 daN. The clamping arm on all vertical clamps is blanked out from full and reinforced on the points of highest load. It is guided on both sides to prevent being affected by possible side thrusts during the closing movement. The version A is available with forked clamping arm whereas Version E comes with solid clamping arm.